Spring is a good time to plant new grapevines as the soil is warm and moist enough to support early growth and vines get plenty of time to get established during the growing season that follows. 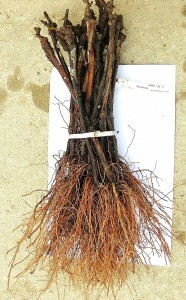 When your order of vines arrives, make sure that your planting material is of good quality before it is planted. Thanks to Rutgers NJAES faculty Gary Pavlis and Dan Ward for their input on this article.